There is no comic, because Errol was up until very late making this thing. 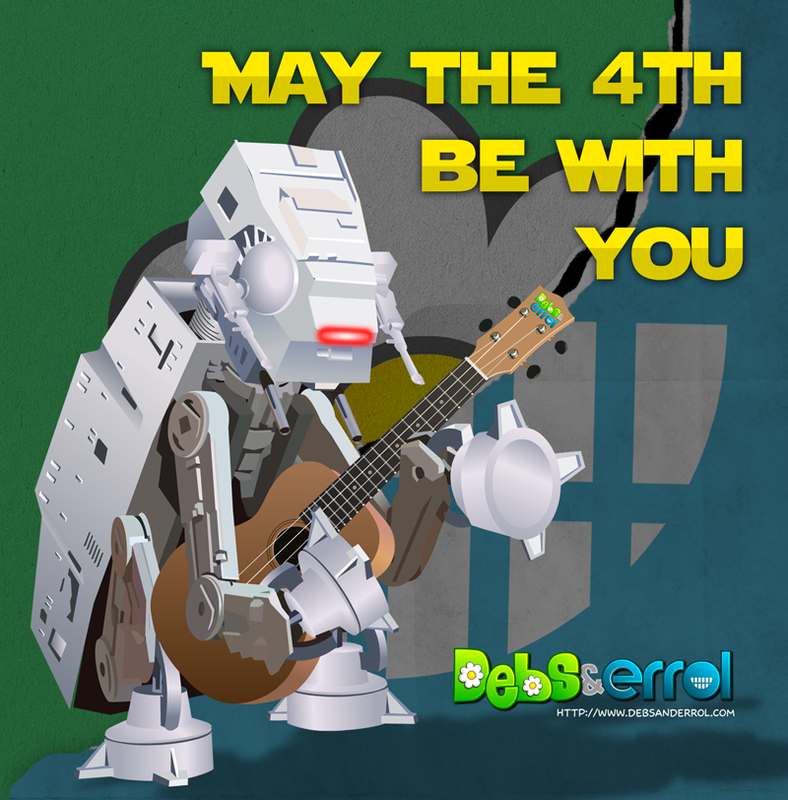 And here, listen to our song while you stare at this silly poster – An AT-AT playing a Ukulele. I’ll go! I’ll go! I *never* need an excuse to go to Disney. The poster is truly awesome. No FB- that’s the one social site that I need to avoid. I have 2 deactivated ones, but they’re addicting and people are mean. Oh TIE After TIE. I heart you so much <3. I know a lot of people not D&E’s target audience. My wife… for example. Doesn’t know or care about Star Wars. I wore a Star Wars shirt today (I was helping a friend move). Most of my friends just stared at me in bewilderment. One, however, decided to spend all day making Star Wars puns. It was fantastic. I wore a homemade star wars shirt where my pregnant belly is a death star!